Hello friends! I hope everyone is having a great week! I am so far. I have been busy with many things, but now it is “hump day!” Yippee! I wanted to share with you about a book I found at the library. I like it so much that I bought a copy online and received it in the mail on Friday. 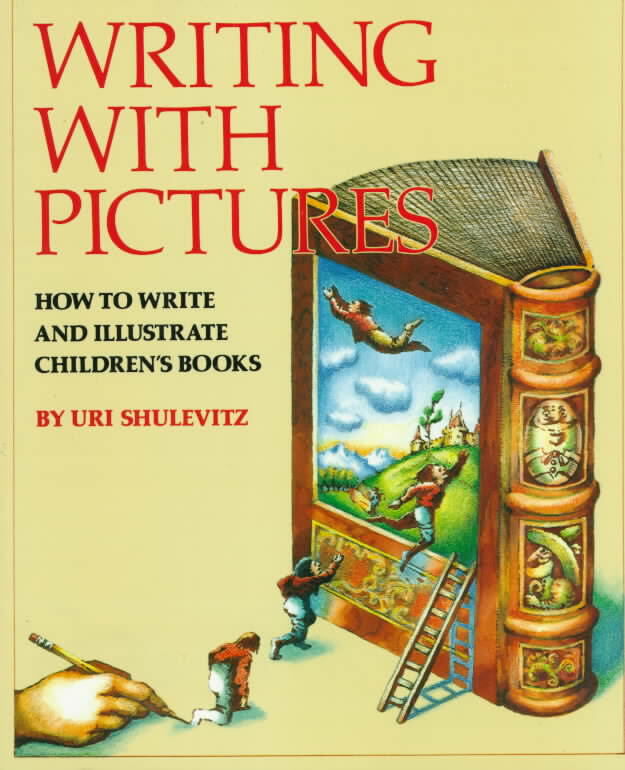 It is called “Writing With Pictures: How to Write and Illustrate Children’s Books” by Uri Shulevitz. Here’s a picture of the cover. Part One is titled “Telling the Story.” Included in this chapter are the main aspects of putting together a picture book or a story book. A picture book has a certain format, and the story ideally should be able to be told without words. However, as we know, most picture books do have text to go with the pictures to tell the story effectively. Part Two is titled “Planning the Book.” This includes how to make a storyboard and a book dummy; the size, scale, and shape of the book; and the structure of a printed book. In my picture book about Larry the Lonely Leatherback, I have been working on trying to keep it as simple as possible. However, I am discovering that I am not sure I have enough action going on in the story or pictures. I don’t want to bore kids and parents to death! I do have one sequence of something Larry does that I have not posted yet. I like it, and I think the pictures and description of what is happening in the story are presented clearly. However, I am thinking it may be one of the things that has made my book so long. It is about 40 pages right now. Some picture books can go up to 48 pages, however, the average length is 32 pages. This length includes the end pages which are located at the beginning and end of the book and can be blank or have pictures, the copyright/dedication page, and the title page and the story’s pages. Part Three is titled “Creating the Pictures.” It instructs us in the process of doing illustrations, covering topics such as picture space and composition, principles in technique, style, and much more. Since I am primarily an artist, I have been concentrating mainly on the drawings. Now I am working on my story to make it more interesting. Writing AND illustrating is much more difficult than most people think. I have read in many places that a lot of writers think writing a picture book is a piece of cake. I am here to tell you IT IS NOT! There is so much to think about. How does the story flow from beginning to end? How do the illustrations tell the story? What is the theme of the story? My story is about a lonely Leatherback sea turtle finding friendship. Friendship is a very common theme in picture books for the very young which is my target audience. Yet what will happen to bring that about? Even small children feel lonely at times even if they don’t know what their feeling is called. I want to convey this through an animal that is not seen much in picture books. Part Four is titled “Preparing for Reproduction.” It covers printing basics, color preseparation which is somewhat outdated now, but can still be useful knowledge, and techniques for reproduction. Finally in the Appendices, there is a section about finding a publisher. Of course we have many, many more options now than we ever have, but again, still useful information. I hope this post doesn’t sound scattered; that is kind of how I am feeling at the moment. The book I have been talking about has so much more to offer. I have barely scratched the surface. Also, I read a lot of reviews about it on Goodreads, but many were not favorable because they felt the illustrations he includes in his examples are “outdated.” As far as I am concerned, that is really irrelevant. I think this is a wonderful teaching tool for all of us who have ever wanted to write and/or illustrate a children’s book. I am enjoying it, and I would encourage you to check it out! There is a great deal to glean from this man’s knowledge. Posted on May 4, 2016, in Art Talk and tagged art, picture book, writing. Bookmark the permalink. Leave a comment.